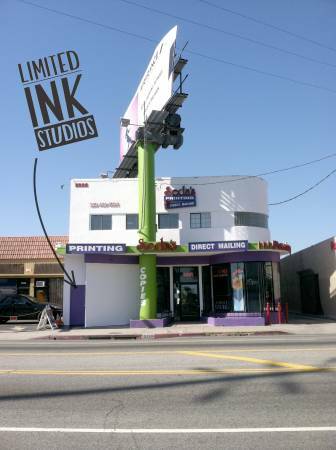 Limited Ink Studios provides a workplace for creatives, as well as art classes in the Los Feliz – Echo Park – Silverlake area of LA. 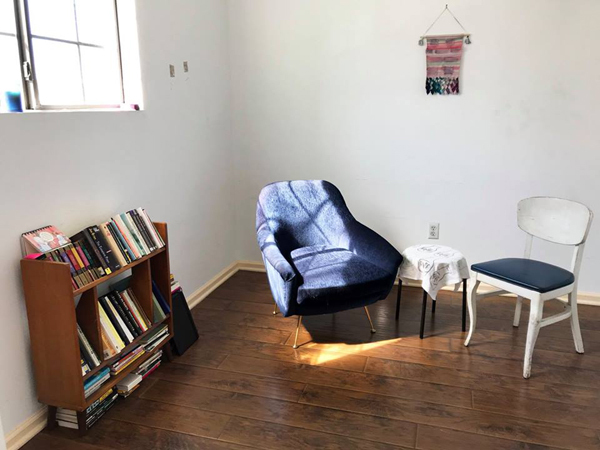 Our studio space works GREAT for artists, painters, writers, graphic designers, photographers, illustrators, cartoonists, collage artists, storyboard artists... the list goes on and on. 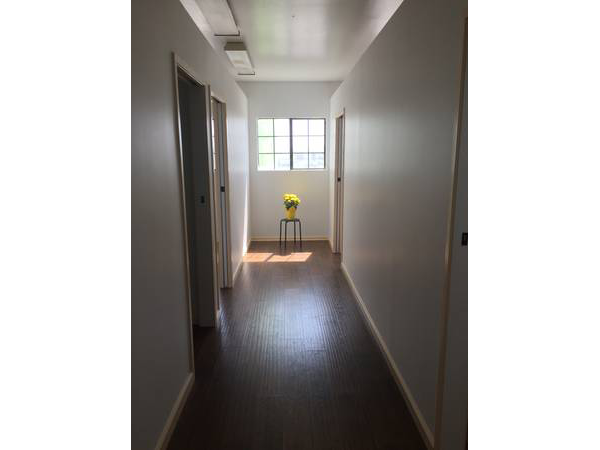 We offer small studio spaces, reserved drafting tables, and an open co-working space for all types of artists. 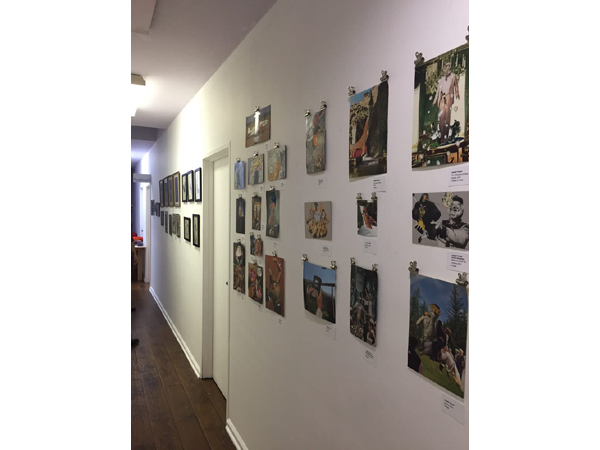 Throughout the year, we host a number of shows in our gallery space. And, each month, we also have a number of classes for advanced and intermediate artists. These range from in-depth four-week courses on a single topic to single-day workshops on techniques and methods. We just built a few more studios in our space and we're looking for the right folks to join our community! 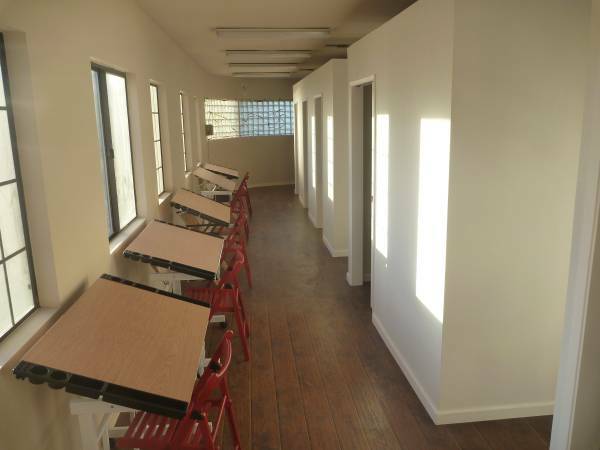 There are small, medium and large spaces available as well as a few desks to call your own! LIMITED AVAILABILITY - RESERVE YOUR SPOT TODAY! a few of our faves. 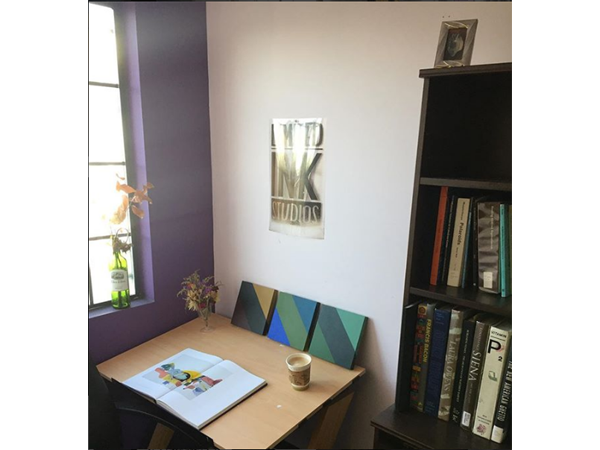 I rented studio space at Limited Ink for about a year and really loved my time there. I'm a painter and installation artist and always felt productive, comfortable and inspired while working in my space. The majority of the pieces from my most recent series of work were all created there. I also became good friends with one of the other artists in the space, and I'm really glad to have met her through Limited Ink. Since moving out of my space, I still came back to rent the large main room for a music video shoot, and Kelly (the owner) was super helpful throughout that process, as well. If you're looking for a creative space to make some art - this is a great spot. I've had my studio set up here for a full year now and I love it, so clean, air conditioned and inviting. Tons of space, fantastic management, and great artists to commiserate/ celebrate with. There have also been some top notch shows held in the gallery. Limited Ink is the place.! Limited Ink is fantastic! I've attended many art shows and other events hosted within their space and am really drawn to their supportive environment and community atmosphere. In the past I used their space for small projects numerous times and it was always a great experience. I know they have made some updates and added more studios since the last time I have been there and I'm so happy for them! Kelly, who runs the place, is an artist herself which gives her the ability to empathize with the needs of her fellow artists who are residents at Limited Ink. 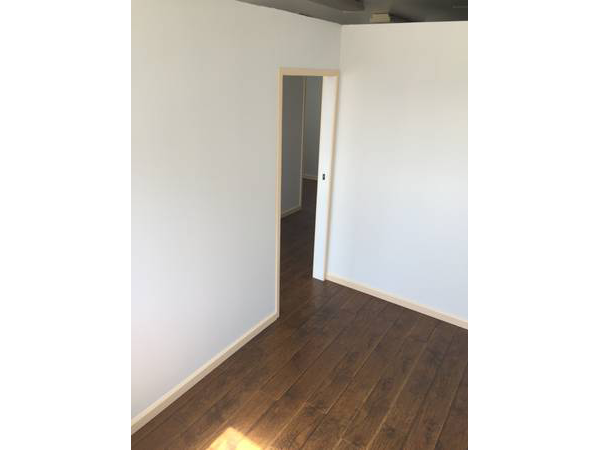 They have a few different options for work spaces to suit a variety of needs and offer the following amenities: Wifi, Full Kitchen, 24/7 Entry, Central Air! ( Much needed in the city of endless summer!) Anytime I've attended an event or used the workspaces there was plenty of street parking and there are lots of food options located in the area too! I'm sad that I have moved out of state but I highly recommend them to anyone looking for a creative space!! 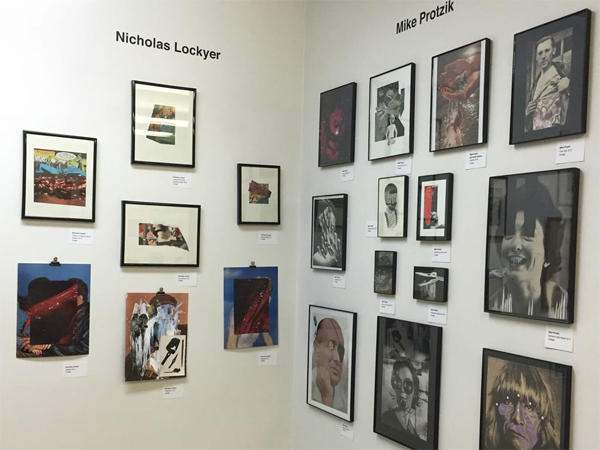 Limited Ink Studios is a co-working space, an event space and art gallery. Kelly runs Limited Ink with love and care and it really shows. I've had so many memorable experiences here. I've taken part in a cake eating contest, a Bob Ross themed painting night, and many art openings. One of my favorite experiences here was curating and exhibiting international collage art with my wife. As a co-working space, Limited Ink Studios is a great choice, and you'll be working around interesting and creative individuals. 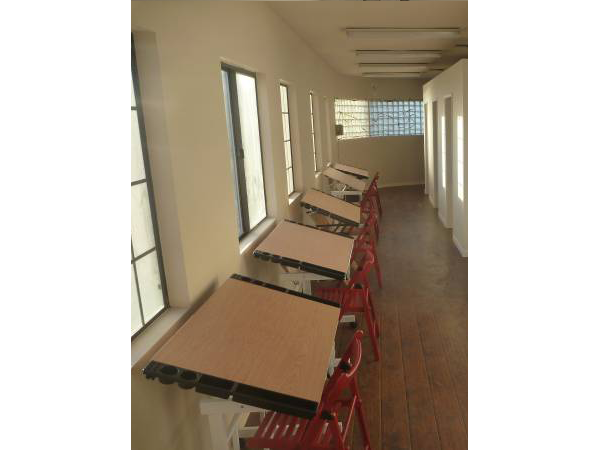 There are different options for studios and desks, depending on your needs. There's a kitchen, wifi and during the long summers, you'll be thankful for the central air. 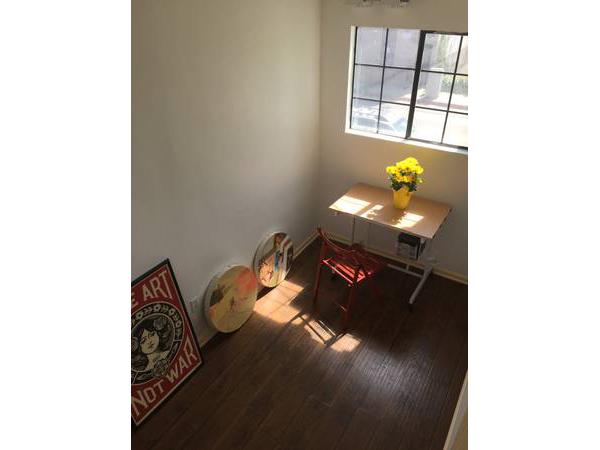 It's conveniently located near restaurants, cafes, grocery stores and the 101 freeway. This space is absolutely incredible. Not only is it such a friendly place but Kelly is extremley professional and handles each event and artist with the utmost of patience and care. The events put on here are always a blast and I can't hype it enough!!! I love Limited Ink! Kelly, the owner, is amazing. She's so helpful and fun and I've never had a bad experience working with her. I've been to numerous art shows here, and even held my own opening here and Kelly and the crew were amazing each time. They are always putting on fun events and I highly recommend attending anything held by Limited Ink. These are definitely the kind of people I like to work with. Limited Ink is super cool! I had the honor of having a two person show at the space. Really great studio to hang work in and curate a show. The vibe of the whole place is just great and the people who come to hang out are super down to earth. Kelly helped organize the show and was always there to help if needed. Very supportive community and has a ton to offer! 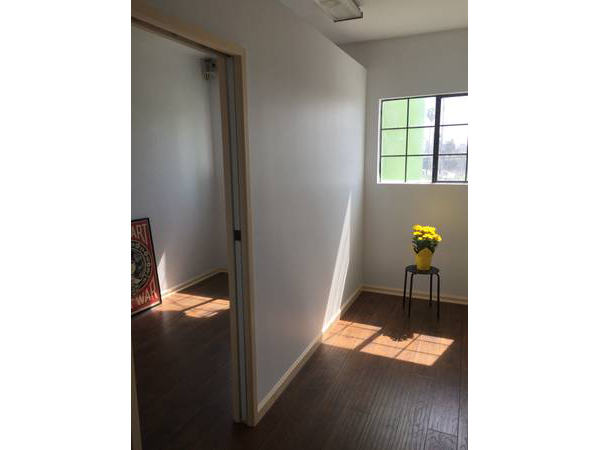 I recommend all artists to check out this space and you can even rent studios to work in! I'm a painter and had a studio space at Limited Ink for about a year. It's a clean, safe place day or night. Other tenants were respectful and quiet. Kelly, the owner/manager was very accommodating. There are on-going openings and workshop events you can sign up for if you feel like it, but no pressure if you just want to plug away at your own practice. A huge plus for me was that the space has ac and that there's access to a kitchen with refrigerator and microwave. 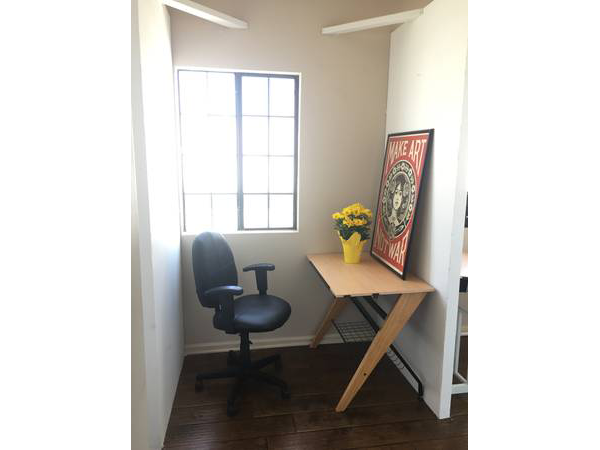 Recommended for artists whose work is modestly sized since the individual studios are on the smaller size. I curated a show at Limited Ink and had the wonderful opportunity to do a mural with them! Nothing but friendly and accommodating management and a great and fun experience! I haven't rented a studio with them but have seen the quality of those who have and it is top notch. If you are looking for a great place to work or somewhere you can put on an art show I would highly recommend this spot. 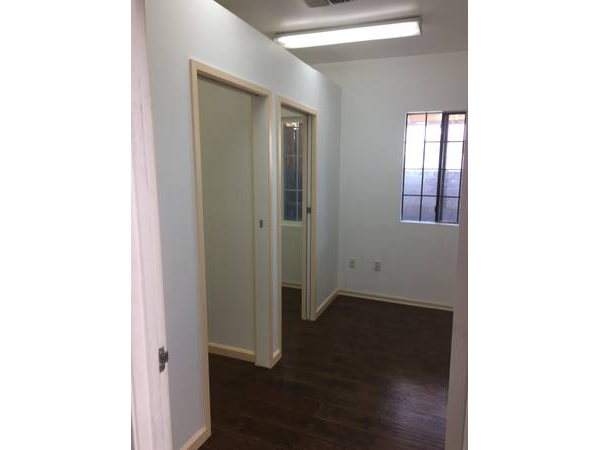 Plus it is located in a cool spot in east Hollywood with lots of visibility and traffic drawing in viewers! I've had really positive experiences at Limited Ink. They make room for such a wide variety of artists and mediums, and care about the artists they work with. I was part of a group show there in 2017, and Kelly did a lot to make the experience easy and fun. Also, the natural lighting in the front room is beautiful. Limited Ink Studios does not have open business hours; we are by appointment only. Please make an appointment so we can meet! © 2018 Limited Ink Studios. All Rights Reserved. Site By MindSurf.